So the first week of Summer projects has proven to be an interesting one. 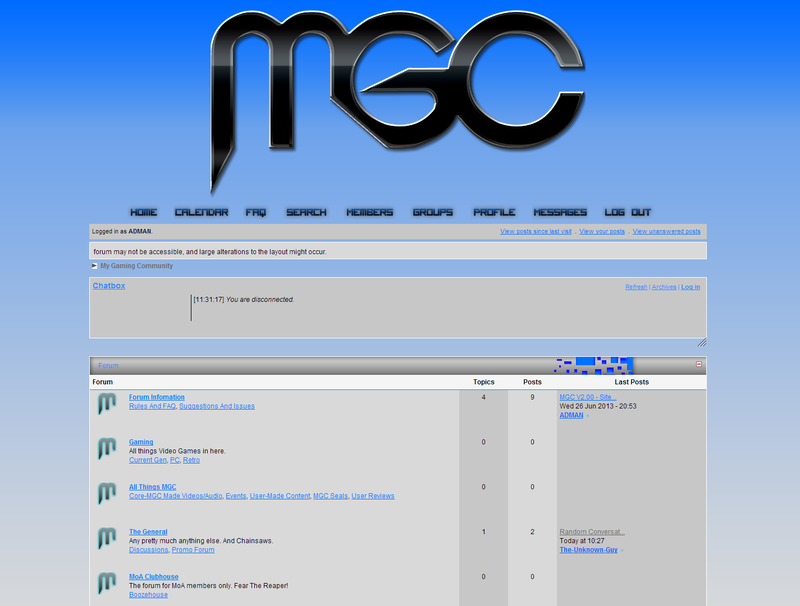 I spent most of my time doing the improved graphics of the MGC forum and altering all the layout stuff for it. It’s not the prettiest thing in the world, but for a first coat of new paint it certainly does the job and there’s still plenty of improvements to work on. Next on the list of features in a homepage and the actual editing of the CSS that gives the forum that look (I’m currently using Forumotion’s back-end for most of this stuff). In terms of other stuff I’ve been doing, I went back to a previous GameMaker project to see if I could correct and revive it. I made a couple of levels to see how it played and it worked fine. The idea in question is a platformer with personal commentary overlapping it to give some idea into the mind of the creator of the world… Or I could just use it as an outlet for my thoughts, which would make this blog rather redundant. Either way, I did more work in two hours than an ex-colleague of mine did in three months. And by that I mean I did work while he sat an played Guild Wars 2 and complained at me for his laziness. Anyway, I have noticed that I’m not super-productive like I used to be. I still played quite a few games between tasks and often got sidetracked by videos and things on the internet. Well, at least I know what to cut down on during next week. And for reference, no, I don’t work on weekends unless I really have to. This entry was posted in Game Development, My Projects, Uncategorized. Bookmark the permalink.